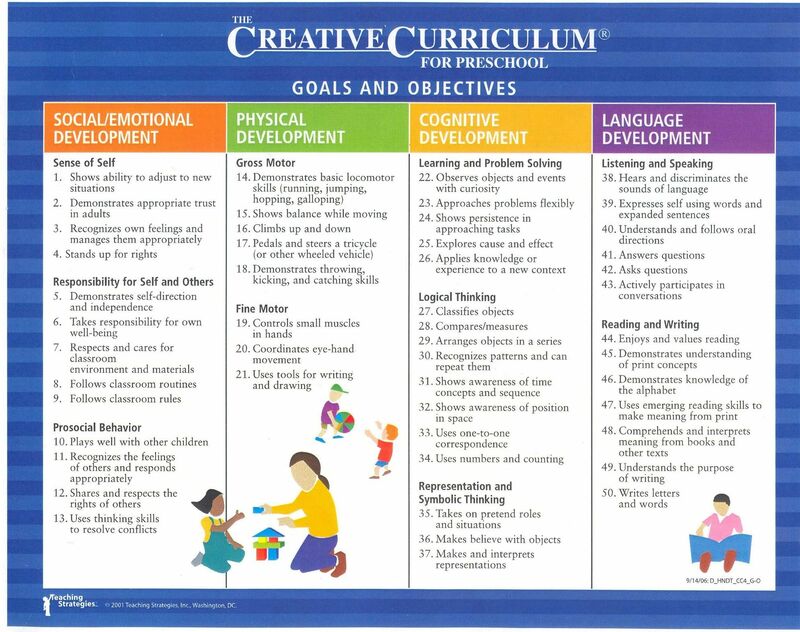 The philosophy of The Creative Curriculum® is that young children learn best by doing and through creative interactions. This curriculum is based on the foundation of child development theories which support that children learn through active exploration of their environment. The Creative Curriculum focuses on fostering independent, self-confident, inquisitive and enthusiastic learners by actively exploring their environment. Goals focus on these areas of: Social/Emotional, Cognitive, Physical and Language, Motor skills, Academic Learning, and Adaptive skills.